There抯 something so magical about this Valentine抯 rose bouquet. Maybe it抯 the mix of colors梒lassic red, soft pink and hot pink for an extra pop of color. 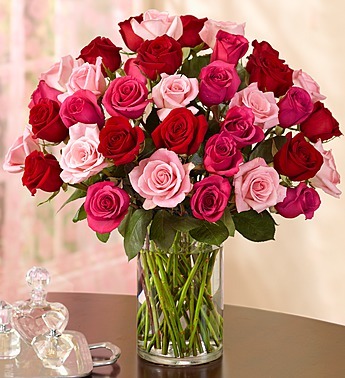 Or maybe it抯 because one look at these 36 beautiful long-stem blooms is all it takes to leave that special someone spellbound!